I was recently asked about hiring our first teachers. The obvious reason: we had grown as a school and needed more teachers to cover the lessons. But more importantly, we valued our family time and work life/ balance. Before our two boys entered kindergarten we spent mornings playing in parks // play centers and afternoons at home together. Then we would drop the kids off at the babysitter’s house (one of our student’s Mom) and we would both teach. Our Japanese babysitters were great: highly recommended. Our kids got an early introduction to Japanese language, culture, food and family life (important since Dave and I aren’t Japanese and our family unit operates in an English bubble). They had dinner with our babysitter’s family and would be ready for bed when we picked them up. Our children got used to mixing with other children and families. Our kids became so attached to our lovely babysitter, our youngest cried once when leaving because he wanted to stay! This arrangement worked well BEFORE kindergarten. But when our eldest began kindergarten we realized that if we both continued teaching every night we'd hardly see our kids. They'd go to kindergarten, straight to the babysitters and then to bed. That’s when we decided to hire more teachers. And sadly to not use our babysitter. In the kindergarten / early elementary years, Dave and I took turns teaching. We had lessons Monday - Saturday. Dave would teach 3 days and I would teach 3. If Dave was teaching, I would be with the kids and vice versa. Our kids got Mom’s parenting and Dad’s parenting. The parent at home was in charge of kids, shopping, cooking, cleaning (like a normal housewife / househusband). Sometimes in the early days, we really enjoyed the "time off" when it was our turn to teach! Those of you with very young children will understand! This too worked well for a time, but it WAS tough. The parent at home was like a single parent and we only enjoyed 2 dinners a week together as a full family. Which brings us to our current arrangement. As our kids have gotten older (cliche alert; time flies and kids grow up fast), we decided family time is too precious to miss. We want to see their games on Saturday (the busiest day at our schools) and to have dinner / evenings together. So we cut our teaching days to 2 or 3 a week (between us). We still work—-but in the mornings / early afternoon while the kids are at school. The nature of our work has changed. Now it’s more about managing the lessons/ schools / making texts/ materials. 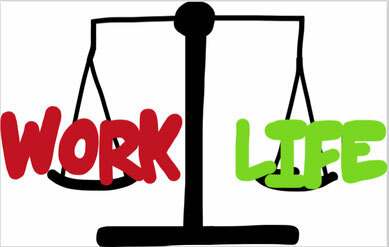 We are fortunate to be in a position to be able to decide how much we work / when we work and what work we will do. We also know that our students benefit from a variety of teachers (see our rotating teachers blog) and that our job is to set the foundations of a good school with good texts, materials and lesson plans. When our kids are older (ie: move out) we can work more. But for now, we would rather be with our kids. In short, we are very lucky. How about your school and family? Sorry. I don't understand the question.